The Y.A. 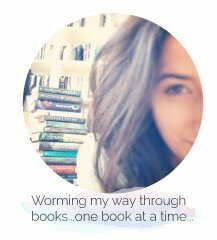 Bookworm Blogger: Dear Books: Thank-you ! Warning: extreme mushy-gushy ahead ! I've just come from watching Breaking Dawn Part Two and, after internally squealing my head off, I started to think....why do I love this series so much? Why does this story make me so passionate? Why is it that I'm experiencing a mild case of "bookworm depression" now that it's over? Why do I feel all these things with so many of my favourite series? I think it's safe to say that we all have those series that make us absolutely fall in love with that series' world, characters, etc, etc....And after those books/series are over, we feel something very unique- something I believe, you can't feel from anything else. Whenever I look back at a series, I always look at how characters have changed from book one to book two, three, four- however many books a particular series has. It warms my heart to think of how characters have matured, or in the case of a love story, how characters' relationships have changed. Lets take Twilight for example. While having a discussion with my cousin after watching BD2, we got on to the topic of how different Bella is in this movie- even in comparison to her character in Part One. It is from this conversation that are started to think.....When looking at Bella's character from Twilight to Breaking Dawn, you are able to clearly see the differences between the insecure girl in book one, to the confident woman she is in book four. Even Bella and Edward's relationship dramatically changes- going from a forbidden, intense, hesitant relationship to an equally intense, mature, and of course loving one. Even their roles as parents show how much they've both grown as a couple and individually. I think this is one of, if not the, best thing about being a bookworm for me. I always feel so privileged and honoured to be a witness to these characters' growth. ...so privileged and honoured to grow with these characters as I too learn something new from their stories. Now, Twilight is just one example (seeing the movie has sparked this "reflective Caitlin " out of me), but I feel these same things towards other series as well. 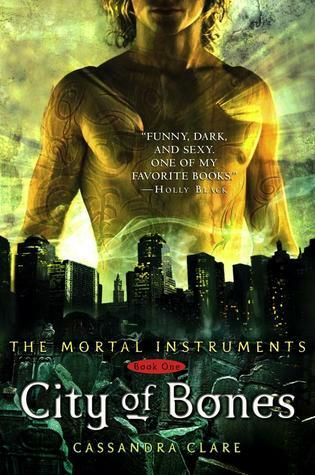 Mortal Instruments, Vampire Academy, Lux, Covenant, Sea Breeze, Hush Hush, Blue Bloods, (the list goes on) are all series that, apart from making me swoon, spark so much emotion from me that I sometimes have to remind myself that these characters aren't real. Luckily that's why they make movies- so that the characters that are alive and present in my head, can become as close as they can ever be to being real people. Now, some of you might think it's absolutely crazy to have these feelings for books, but I thought if anyone would be able to understand, it would be you guys, my fellow bookworms. So as we say goodbye to Twilight for a second time, I want to say thank-you Bella and Edward. Thank-you to Stephenie Meyer. Thank-you to every single character and author that have allowed me to be a part of their world- because without you, I know I wouldn't be the person I am today, and I wouldn't be here (on my book blog), writing this to all of you. Why do you love books so much? Do you get "bookworm depression" after finishing a series? Be sure to let me know in the comments below! This is such a great post! I definitely feel strongly connected to my favorite books and characters, and I was really touched by the ending of BD2 and how they tied in all the previous films with the credit sequence. I felt sad, but also happy because it's stressful waiting for the next film/book! :) I guess when one series ends I try to look for the next one! I totally understand you! I've seen the movie twice and I always end up crying. Not because the emotional ending with the recap of the previous movies but because I love the series so much that it's hard to say goodbye (in a metaphorical way). I love series but I hate the emptiness you feel once it end. The feeling of emptiness is the worst- it's like, I'm happy for the characters and everything, but I feel so sad that I can no longer be a fly on the wall lol ! I didn't expect to feel sentimental about the end of the Twilight movies, but the last scene and the end credits of BD2 were so beautifully done that I couldn't help getting a little emotional. I owe a lot to those books. They got me to love reading again as an adult and gave me something to talk about endlessly with my teenage cousins (we all got nostalgic watching a Twilight movie for the last time together). I get extremely attached to books that I love, so you're definitely not alone in that! Wonderful post! Thank-you so much for leaving a comment !